It was a bit surprising when CJK Builders Consett asked us to design and build their website, because we’d designed and built their website not eighteen months earlier! 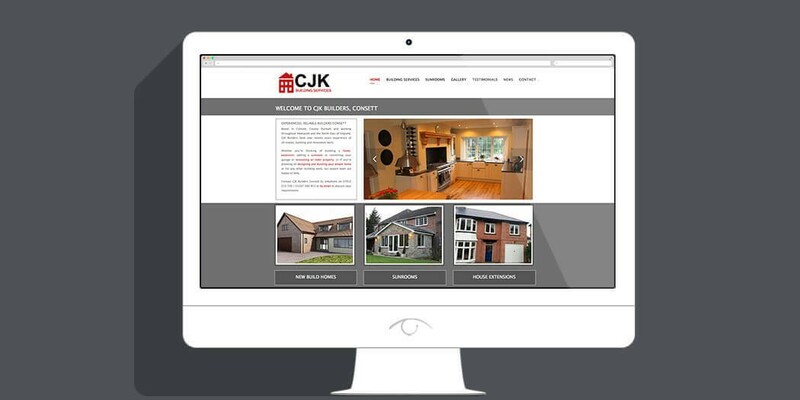 Apparently we’d done such a good job of the original website design and Search Engine Optimisation that CJK Builders were ready to take their business to the next level and needed a new website to showcase all of the fanastic work they’d been busy with. This presented a challenge and an opportunity. A challenge because the Search Engine Optimisation (SEO) that had been done on the site was working so well that that it was important to ensure that the changes wouldn’t impact that success. An opportunity because it was the perfect testing ground for our new website revamp service. The existing website had been built using a Content Management System (CMS) which was then customised to provide a bespoke website design. Building the site this way meant that major changes to the website, including reconfiguring the page layout structure, changing font and link colours, adding a Home Page slider, recent news rotator, page specific image galleries, on page image galleries and a filterable portfolio could be made without impacting the actual website structure (URLS, navigation, filename extensions and links) could be made without impacting the existing SEO. Even better, the fact that these changes could be made without the need to carry out any major recoding meant that the entire revamp could be carried out quickly and inexpensively. The result. A cool, calm, contemporary website design which showcases our clients work. We look forward to carrying out another website revamp when they’re asked to rebuild Durham Cathedral! Wide Eyed Design has just completed the construction of my business website, and I must say how happy I am with the final product. After an initial consultation about what my business needs and goals were, Helena set to work building my website. Helena was always very enthusiastic, professional, knowledgeable, and there to offer advice and guidance. This is not my first website, but it is by far the best and I only wished that I had of discovered Wide Eyed Design first. I feel that I got excellent value for money and within a very short period of time my business was on the first page of Google which is the best possible result for any business who has a website. I am very grateful to Helena for her expertise and for all the hard work that she has put in, and I would highly recommend Wide Eyed Design to anybody wanting to create a website. You don't need to be a builder to build a great business. You just need us to build your website!